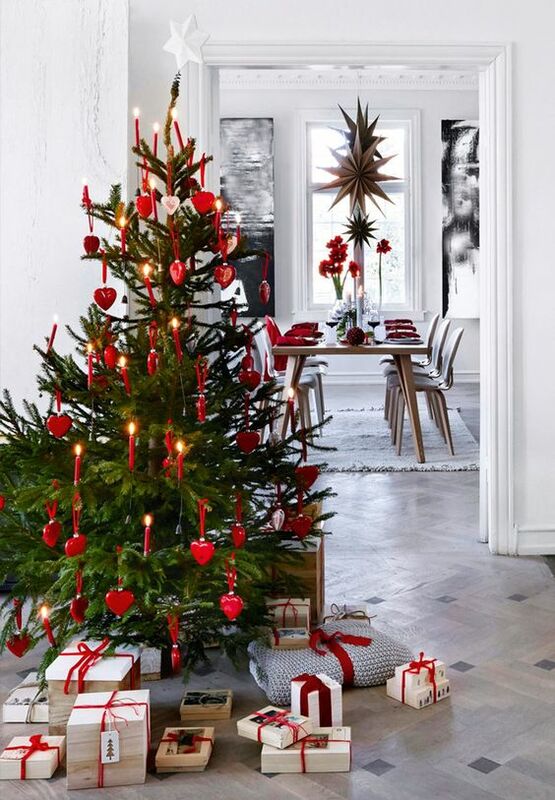 Scandinavian decor is extremely popular now, I’d say it has conquered the world. 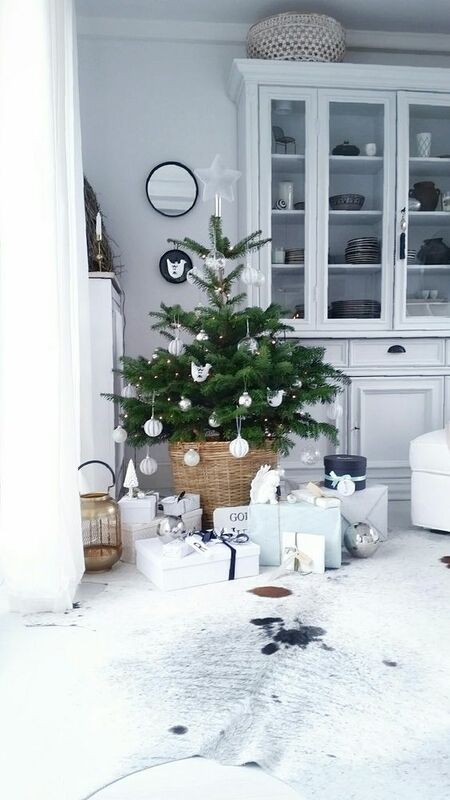 If you are already rocking this style at home, why not decorate your home for Christmas in this style, too? 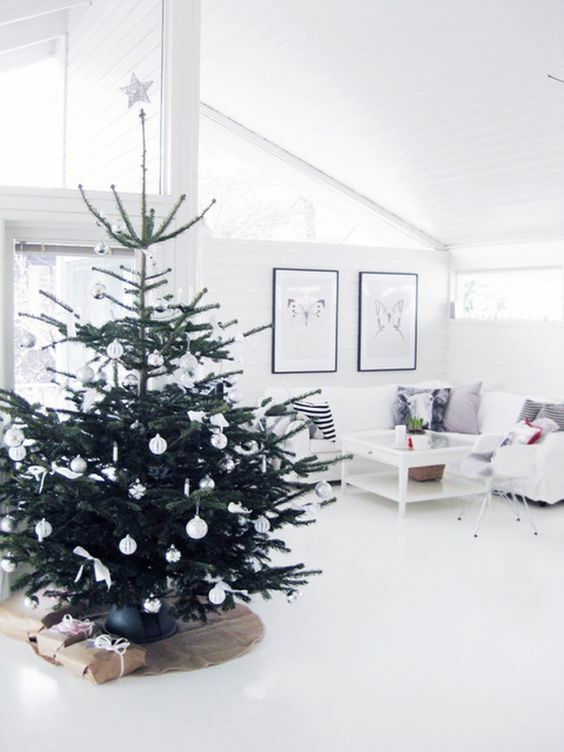 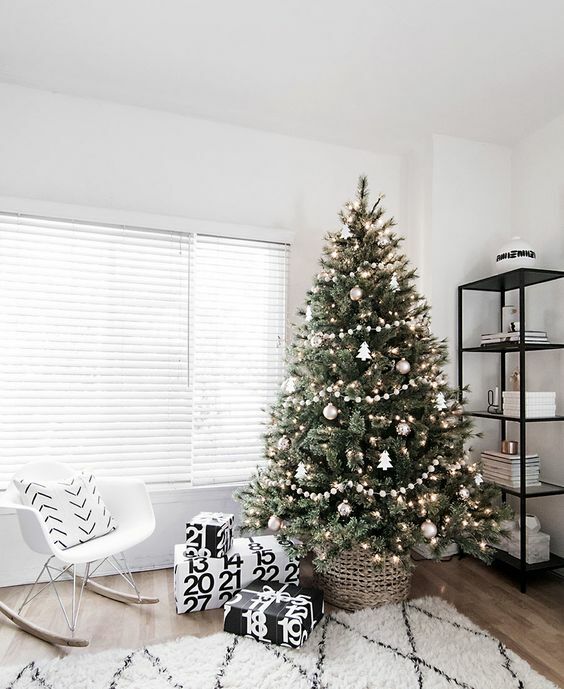 For decorating your spaces for Christmas in Scandinavian style, you may go two ways: modern, which is geometric and neutral, or traditional, which is usually red and white and more vintage-like. 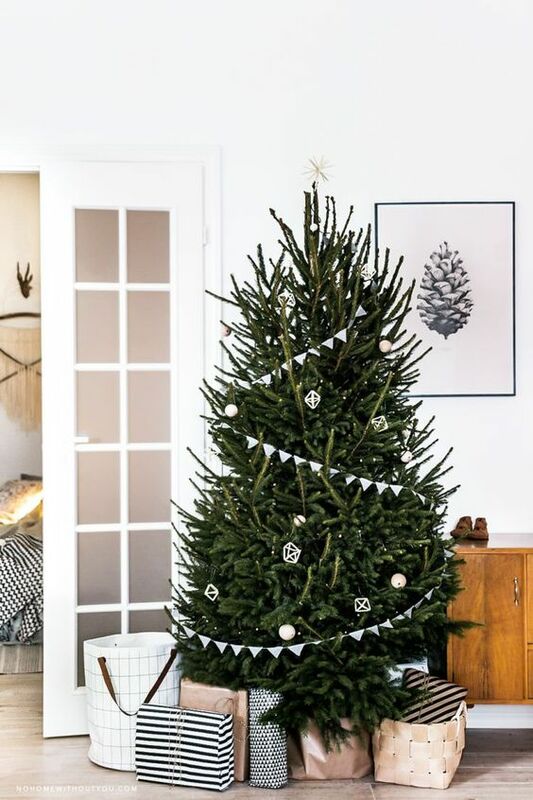 Let’s take a look at both options and some ideas. 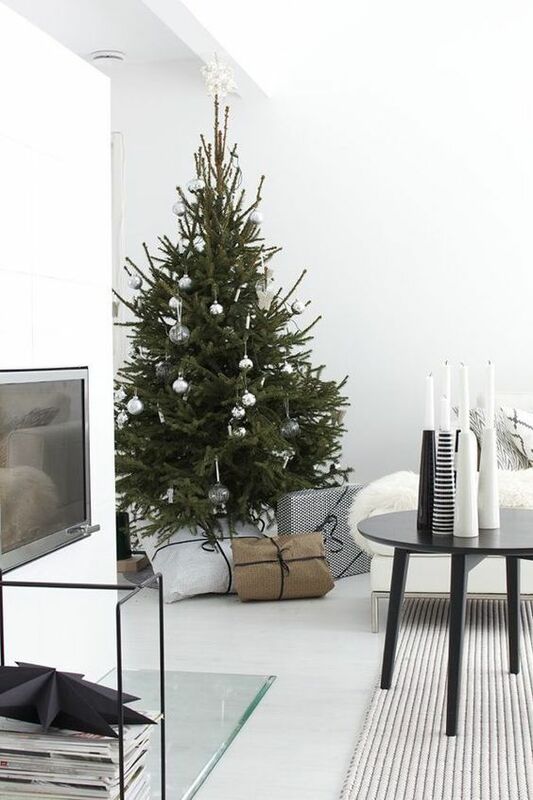 If you prefer modern Scandinavian style, minimalism is your best friend. 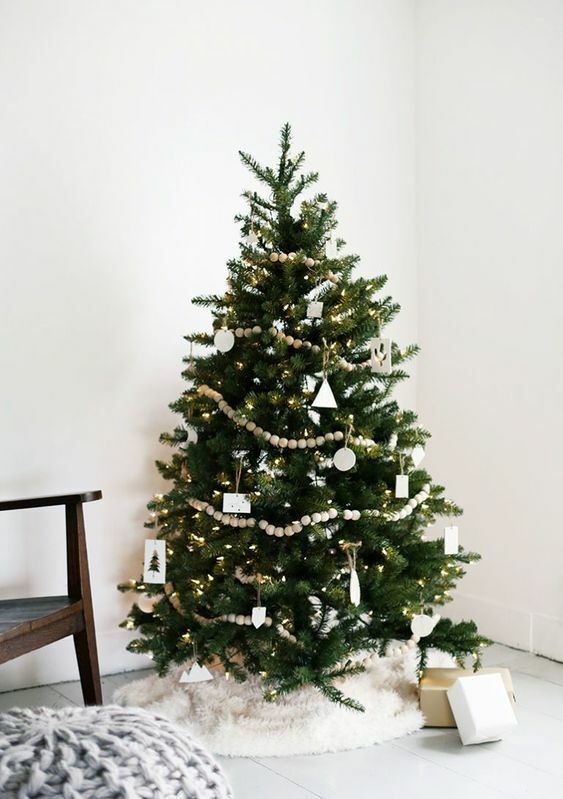 Rock white, off-white and maybe silver and clear ornaments of your choice. 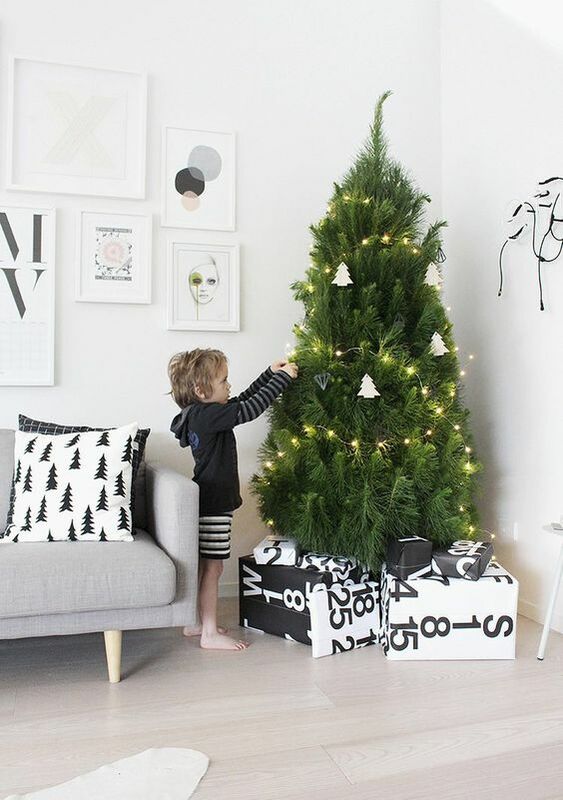 You may add buntings, pompom or wooden bead garlands, lights or LEDs, you may craft various modern ornaments with your kids – of clay, wood, cardboard and so on. 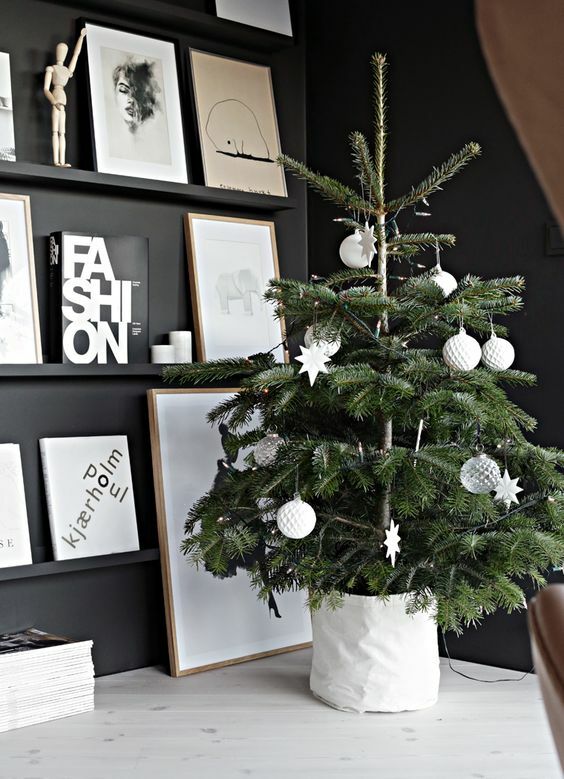 Don’t use too many ornaments, modern Scandinavian decor is all about being minimalist and non-excessive at all. 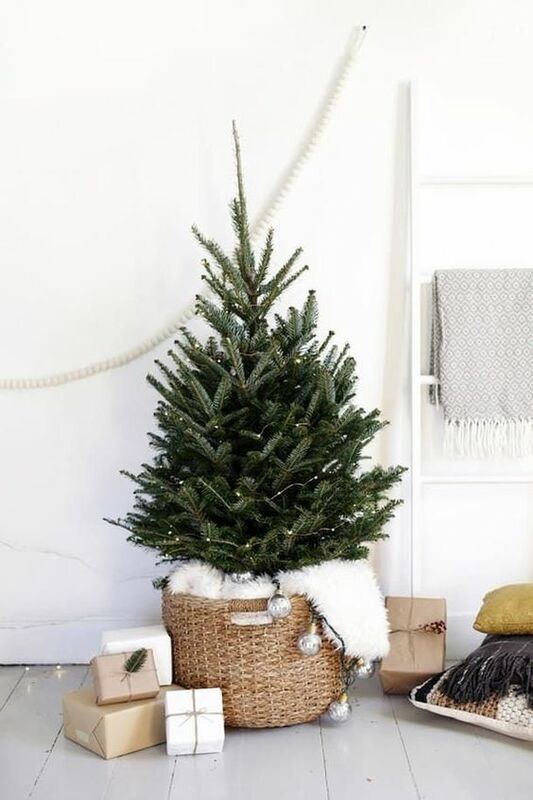 You may hang a couple of ornaments here and there and that’s it, or just try going ‘naked’, which means rocking a Christmas tree without any decor, just lights or even no lights at all – don’t use ornaments. 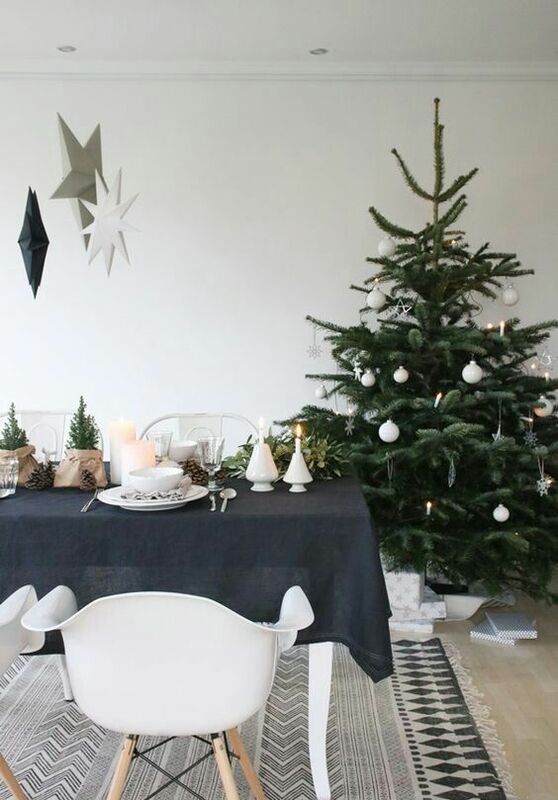 Modern Scandi decor is truly Nordic, you don’t need a lot of decor and the beauty is all about textures and details. 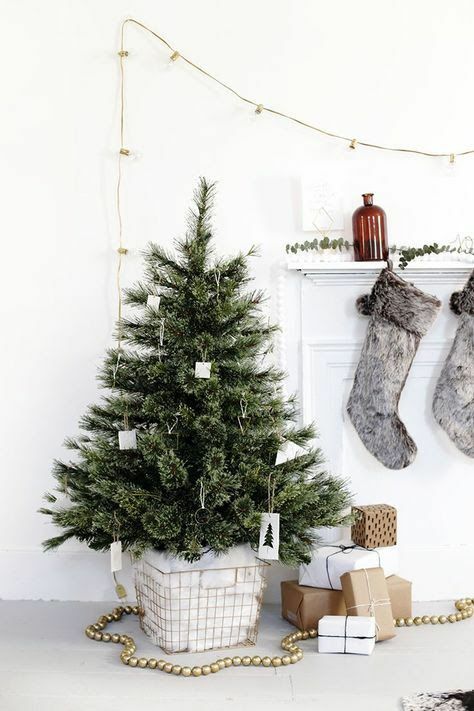 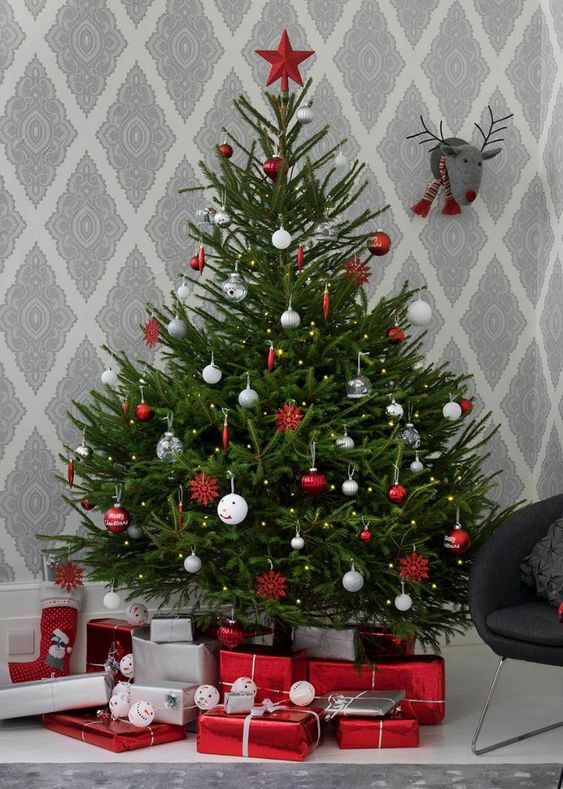 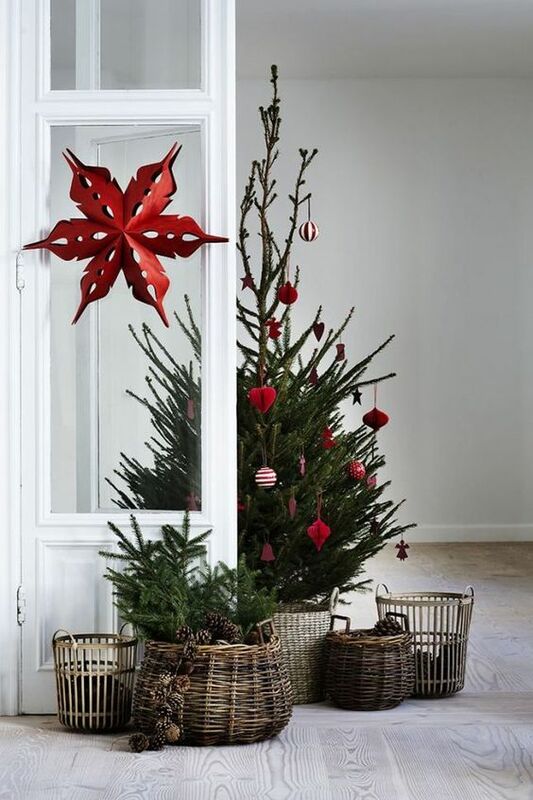 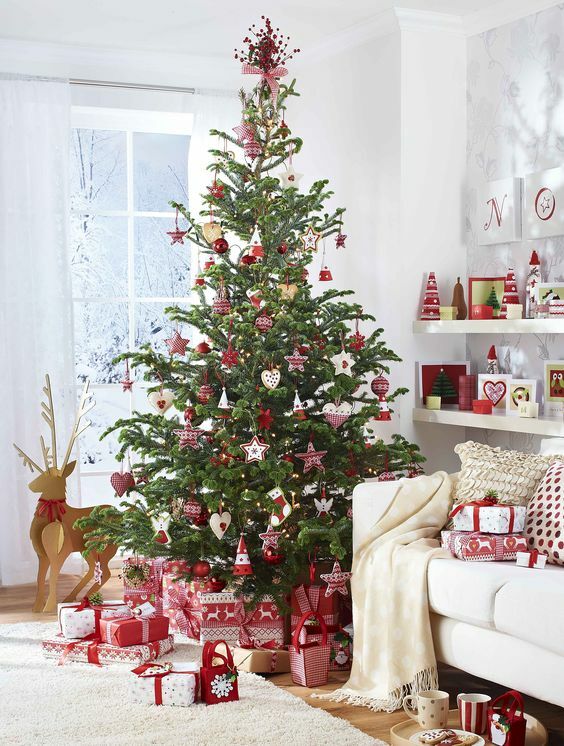 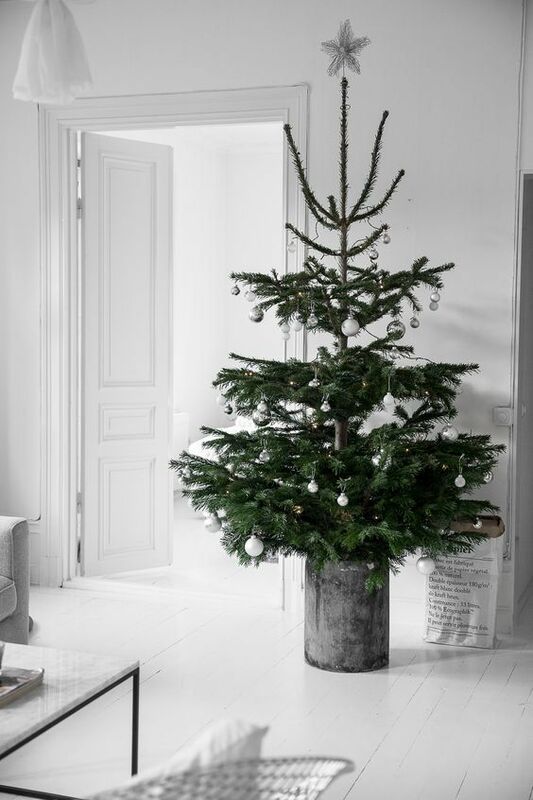 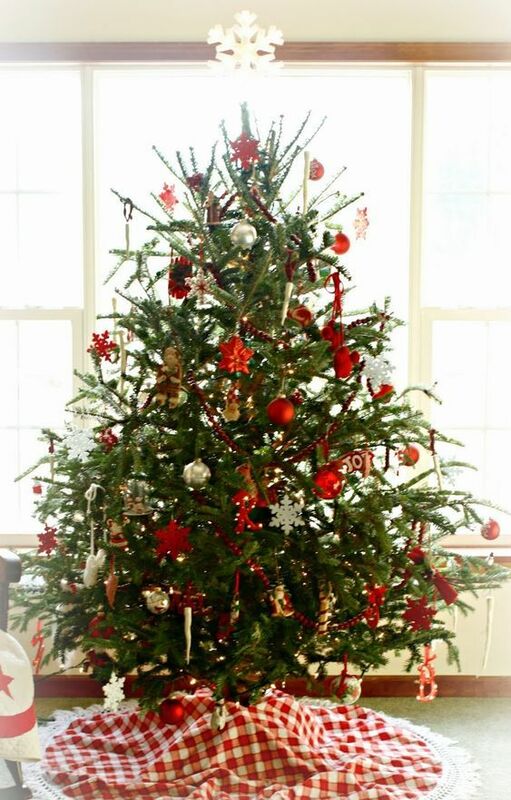 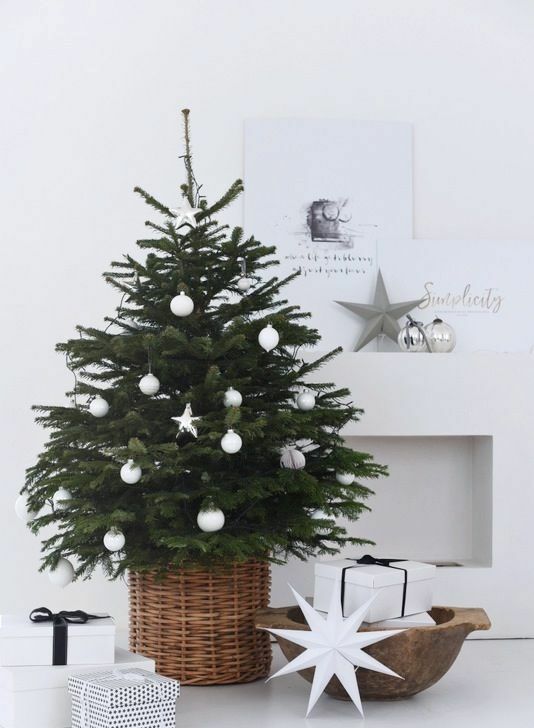 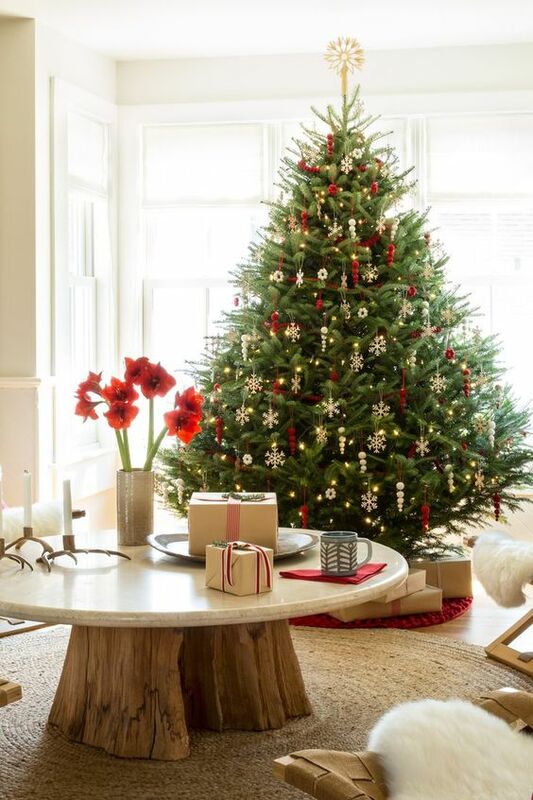 Place your tree into a basket, cover it with cotton or faux fur and voila – a minimal tree is done! 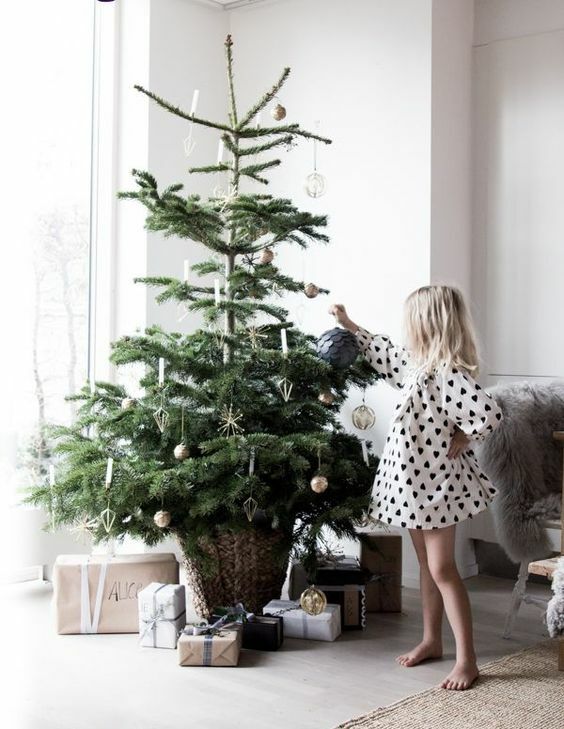 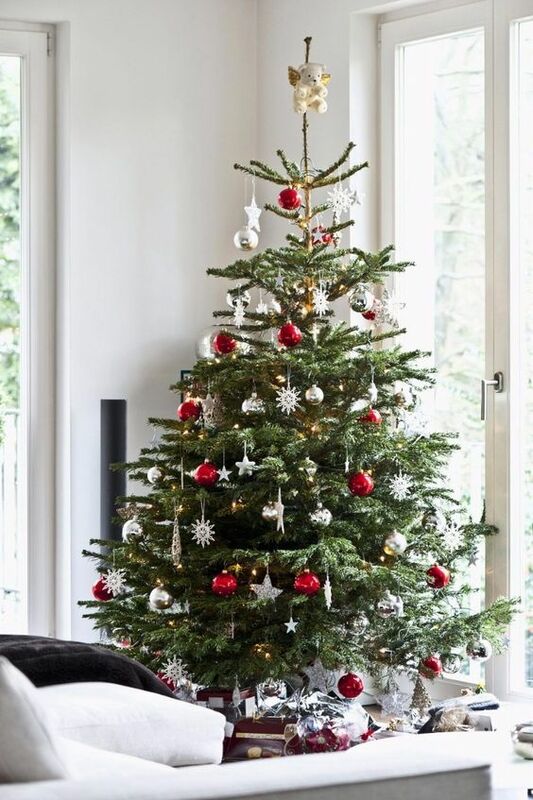 If you want to cozy up your space and make your home feel like Christmas strongly and at once, choose traditional Scandinavian style for decorating your tree and space. 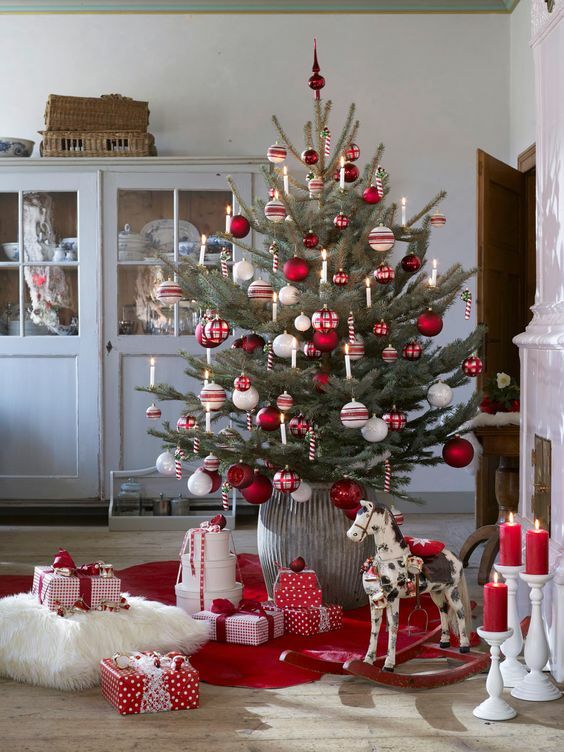 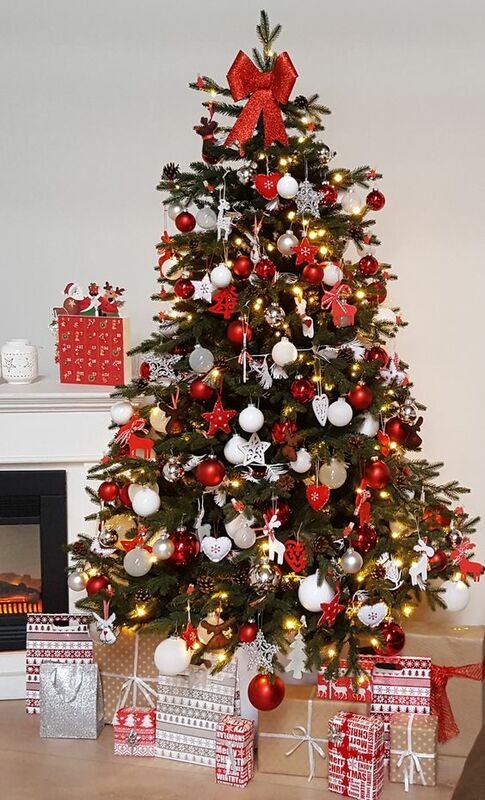 It means rocking red and white, traditional meets vintage ornaments like snowflakes, pinecones, stockings, birds, snowmen, candy canes and stuff like that. 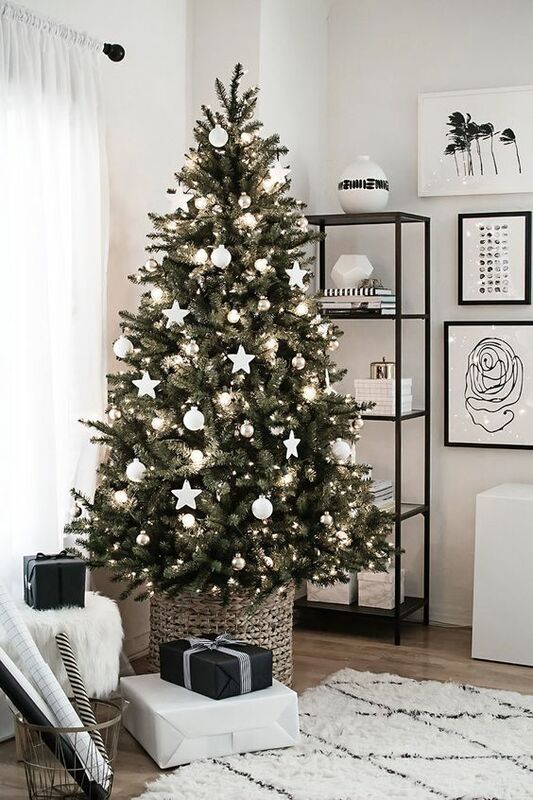 Add lights, add a bow on top and don’t be afraid to be excessive – traditional decor allows that. 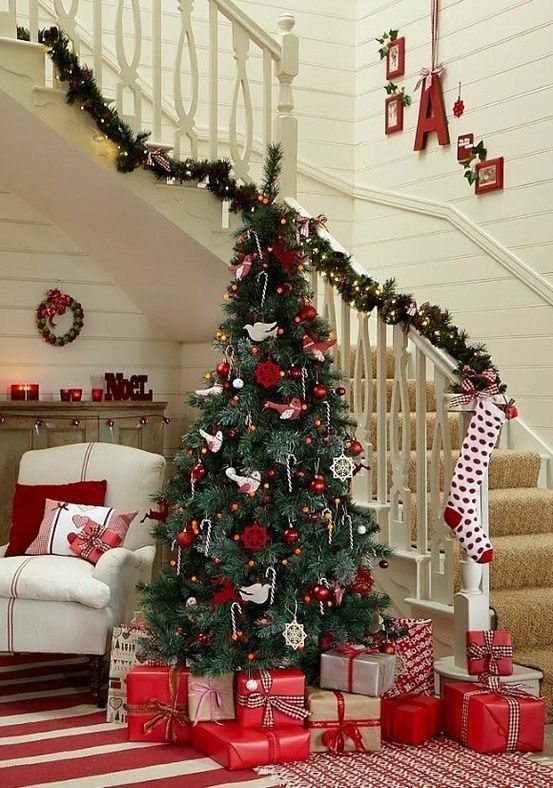 You may also include clear and silver ornaments and some other metallic touches. 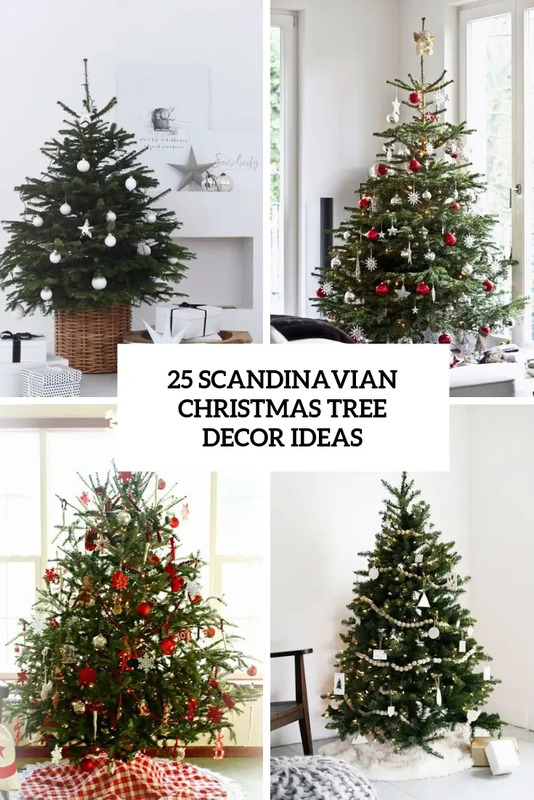 Place some gnomes or deer around the tree if you want, rock various whimsy tree skirts, traditional Scandi decor welcomes such ideas.